When I moved to the Destin area, I was thrust into a temporary stay-at-home mom life. 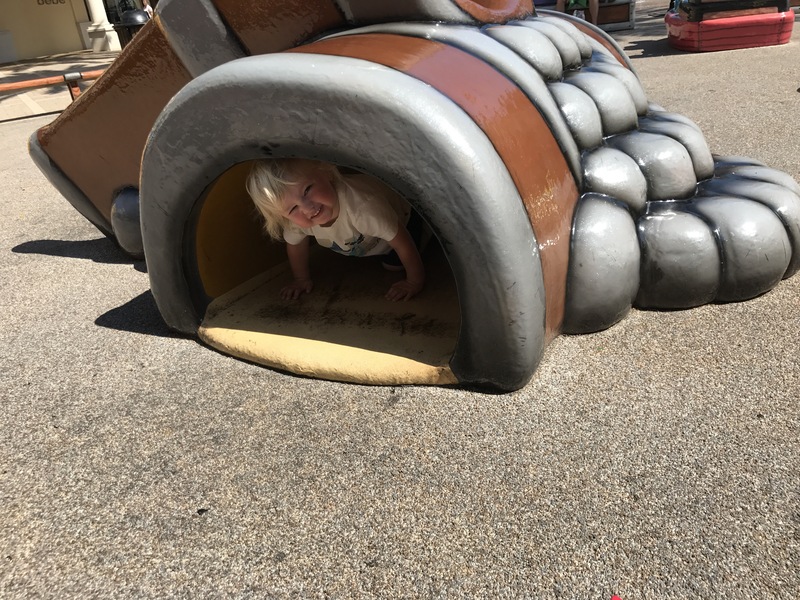 My busy two-year old needed outside time and playgrounds and kids…and I needed adults. 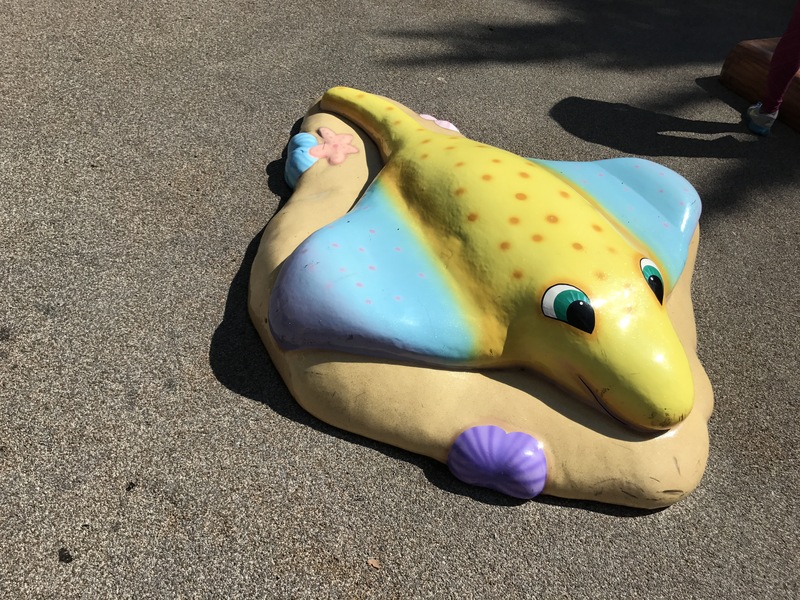 I searched online in the Destin area playgrounds and didn’t find much. I asked neighbors and explored and found great playgrounds, which were a life-saver. This is the first review of my playground series for the primary playgrounds in my rotation for those new to the area and those visiting on vacation. 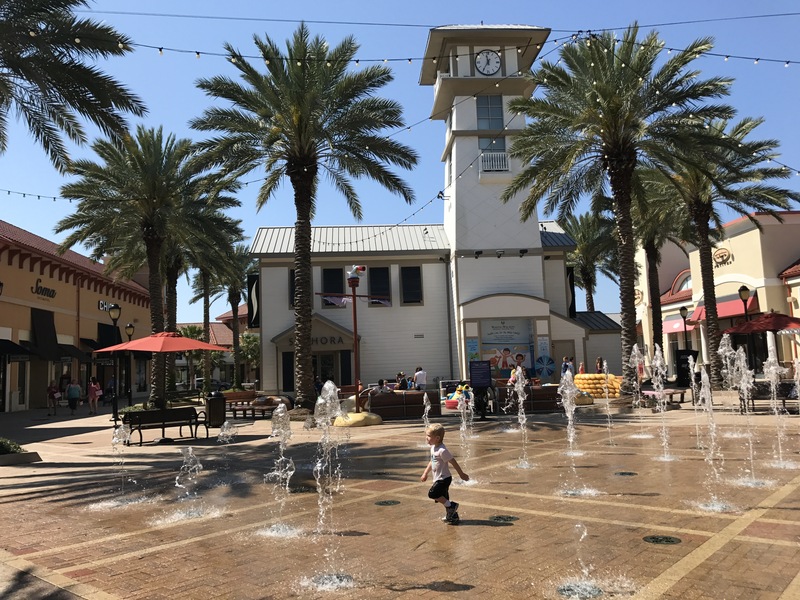 If you are new to the Destin area or you are visiting and need a fun, physical outlet for your kiddos, the playground at Destin Commons is fantastic. From a 2 year old’s perspective, everything is happy pirate and nautical. Mac loves the colorful pink and yellow ray he calls Mr. Ray, from the movie Finding Nemo, the boat because…it’s a boat, and the cannonball pile from which he thankfully still has not jumped off the very top. I keep waiting for that one. The playground equipment is typical of what one sees at many malls these days: soft foam sculpted structures that are bright and colorful. The ground is padded as well. 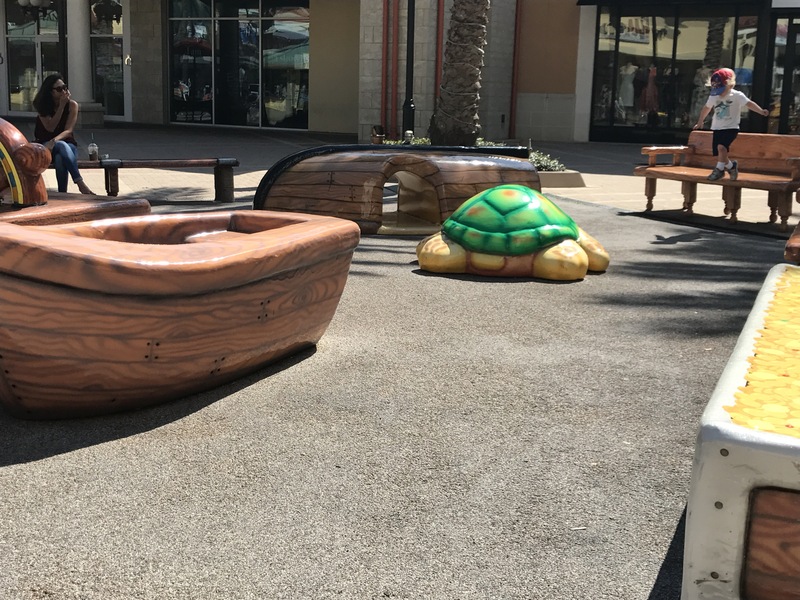 Pirate and nautical themed benches surround the border of the playground and there is a clear view of all play structures – very open. Mac was able to handle most playground equipment at the Destin Commons playground very well, so I have been able to sit, watch, and relax and not have to follow him around. It’s nice for quieter days after there’s been a lot of activity and we need a day to recoup, yet he still needs entertainment and activity. If you’re visiting and want to go to a movie, there is an AMC directly across from the playground. A children’s train runs most weekends, and tickets are $4, although that may have changed during season. 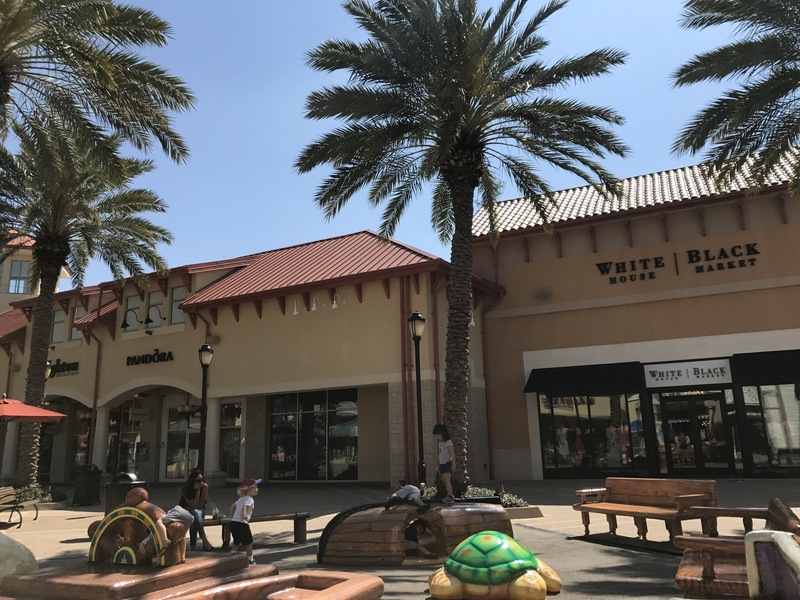 There are plenty of stores to tempt: Pandora, Brighton, Sunglasses World, Sephora, H&M, Guess, Hollister, Build- A-Bear Workshop, Bass Pro. 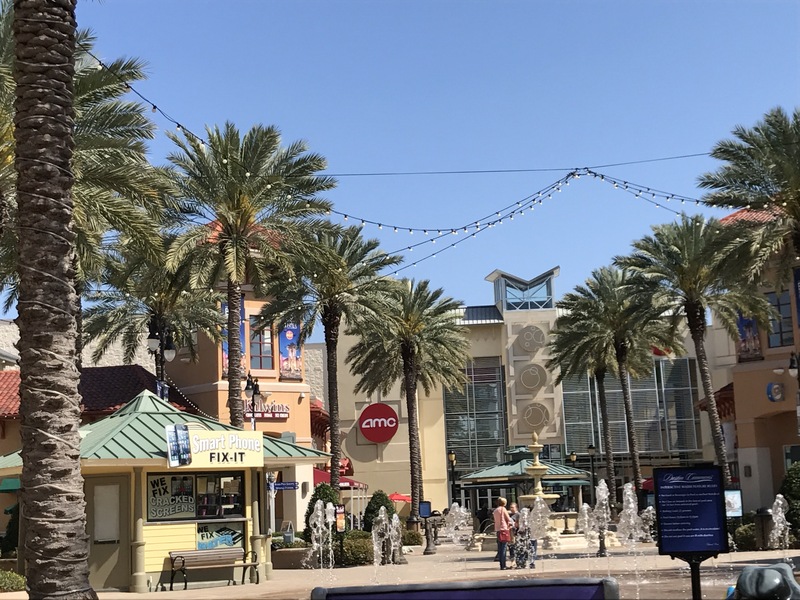 It’s an outdoor mall, so there is an abundance of shopping, including some adorable boutiques. 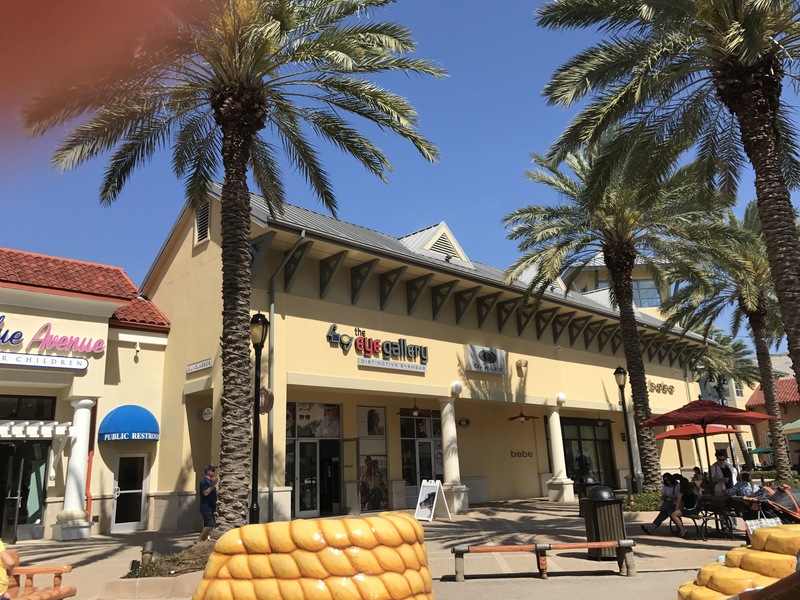 You can visit the Destin Commons website here. We moved here in October. Leave it to us to move to some of the most beautiful beaches in the world and not be able to go in the water because of cooler weather. Yes, this is north Florida and temps can get into the teens. We love the water and often say we would live in the ocean if we could. Despite the colder weather, we did log in plenty of beach time on a few of the rogue, warmer days. When the weather is rough, we loved going to visit Bass Pro, let Mac climb in and out of boats and on the side-by-sides, and dream of future warmer days. (Please always attend your child if they’re on any equipment for their safety, and to teach them to respect property.) Mac loves to see the fish – they have an enormous Grouper he loves, a huge Red, and three Jacks. There is a cool doamed window kids can sit in and feel like they’re in the water with the fish. Bass Pro in Destin Commons is two-story wonderland of fishing, hunting, and camping goods and other outdoorsy merchandise. We like to visit the playground when the weather permits, and then we may stop at El Jalisco for lunch, but that’s when we’re there in a weekend family outing. Last week we had more warm weather after a cold front had passed through. 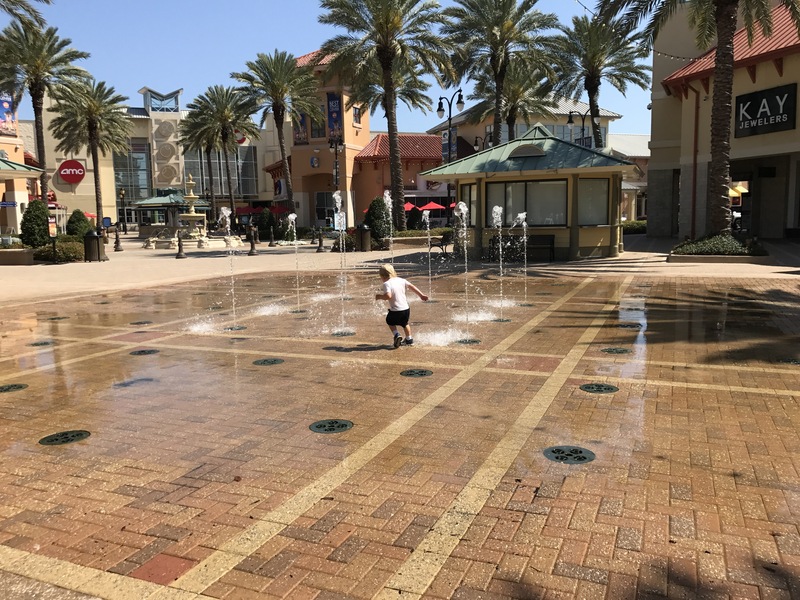 When I took Mac to Destin Commons, We approached the playground and I heard it before I saw it: water! The splash pad was up and running! It’s spring break, so tourist season is in full swing. I knew he wouldn’t leave dry. I had no bathing suit for Mac and no towel in the car. Hadn’t I figured that out by now? Toddler life in a beach town? Have bathing suit, have towel, will travel? Come on, now, Janie. My kid. After I told him we would go to the playground, first, and then maybe the splash pad, he agreed and ran to the playground. He played for ten minutes- maybe fifteen. I had my eyes on him the entire time, and I saw it. The stop, the little blond head turned toward that rushing water, and he darted to the water. All I wanted to do was remove the shoes and socks for which I had no replacements! Like a slow-mo action sequence in an action film, and I bolted after him…the shoes! Take off the shoes! I jumped from the bench, leaped across the playground, dodged children, yelling his name. Did I actually think I would catch him? We had other errands to run and planned on meeting my husband, Mac’s daddy, “AP” for lunch. I did have a spare change of clothes and a pair of his sweatpants, which substituted for a towel. He had a blast, of course. A dozen or so other children were politely playing on the playground. My child was chasing the sprouts of water, soaked through, head to toe, having the time of his life. We later went about our errands and lunch, and he got carried everywhere. I now have a spare pair of flip flops in his clothes bag. If you visit the playground during the spring and summer months, be prepared for spontaneous water escapades and enjoy. Previous Paddle Boarding – Anything but Boring!